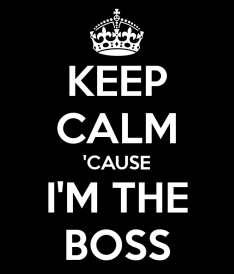 Quiz: Which type of boss are you? So you’re the boss, which means that you set the tone of the office. As the big shot at the end of the hall, you control more than just your employees’ to-do lists — you also hold sway over everything from the agenda of meetings to the unofficial dress code. Yes, a boss’ impact can be all-encompassing. Case in point: According to Lynn Taylor, author of “Tame Your Terrible Office Tyrant,” the average employee spends 19 hours per week worrying about a superior’s words and actions — and six of those are weekend hours. Posted October 14th, 2013 & filed under Money.